Ready for another great year?! We’re excited to have you join us! 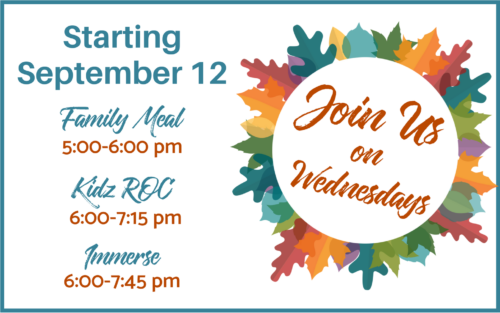 Family Meal: Open to all families attending Wednesday evening events. Food served from 5-6 pm. 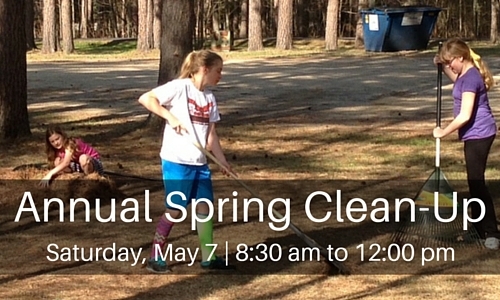 Suggested donation of $2/kids 7+ and adults, $1/kids under 7. Kidz ROC (stands for Kidz Rely On Christ): Open to children in preschool through 5th grade. Starts at 6:00 pm and parents can pick up at 7:15 pm. 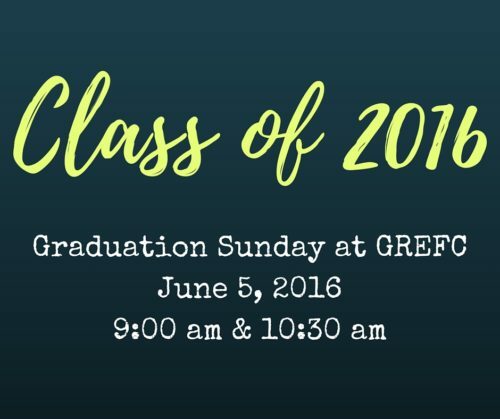 Join us for worship, games, crafts, and engaged learning. 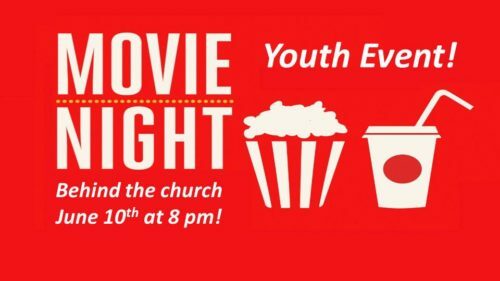 Immerse: Open to all students in grades 6-8. Games start promptly at 6 pm then we move into large group learning, break into small groups and finish with worship. Parents can pick up at 7:45 pm. Note: Infuse, our Sr. High group, meets on Sunday evenings.